As you may noticed, lately on the smartphone market there’s a pretty unusual desire for gold plated phones, devices that are launched on the market by other companies and not from start by OEMs. An example like this is the Chinese company NavJack that recently announced the launch of a limited 24K gold plated edition of iPhone 6 and iPhone 6 Plus. Also, these phones are coming with a back cover texture that looks like carbon fiber, as well as a front facing panel covered with a Corning Gorilla Glass 3 layer. Beside the overall change in terms of design, such a gold iPhone 6 also comes with a special box. 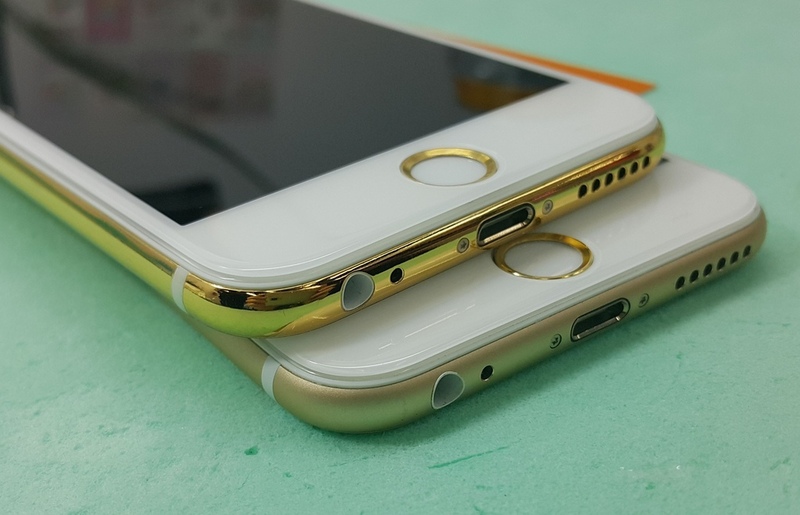 A huge photo gallery with these gold versions of iPhone 6 and 6 Plus can be found right here. Even if the prices are unknown for the moment, we expect that these phones to be pretty expensive.